We think stories are magical. And we think people are powerful. Both have the ability to touch the heart, challenge the mind and spark the soul. So we tell stories, with a focus on Asia, to bring together the magic of stories and the power of people, to inspire change – to make it our better world. Along with featuring people who are changing lives and whose lives are changed, we pull together a range of tangible, useful actions for you to join the journey. 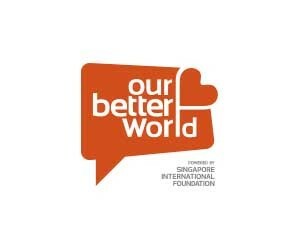 Our Better World is an initiative of the Singapore International Foundation.